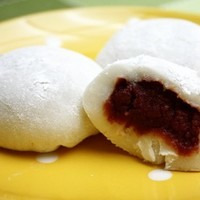 Sticky Rice Cake w/ Red Bean paste filling. VT Rice Base is a really good sweet rice flavor by itself but its a little earthy, has a really nice straight dirt note middle ways into the inhale and a sugary sweet aftertaste causing an internal WTF. Its not offensive dirt but it is unquestionably, dirt. FE Sweet Rice to me is good but lacking that rice feel where VT nailed it so the pairing is perfect. FA Red Bean also has some earth going on and is less dirt than VTs Rice Base also lending a hand to blend that off note. The profile was packed with flavor with just the 2 Rice flavors and the Red Bean but it was linear, lacking body and mouthfeel. I wanted a little vanilla to help round this out and FLV Vanilla Bean works well as a top note without pushing other flavors around. Toasted Marshmallow gives this some body and adds some additional background notes. I've really been enjoying this mix and hope to get some feedback, enjoy! Remixed my White Hummingbird, which was a cross between ENYAWREKLAW’s Yeo Layer and ID10-T’s Longing. I traded out FA Coco’ for FLV Coconut (at 0.5% . . . more on this in a bit). Dropped FLV Cream and FA Cream Fresh (1% each) in favor of OOO Cream Milky Undertone at 1%. I kept FE Sweet Rice (5%), TFA Honeysuckle (3%), and DFS Holy Vanilla (2%) where they were from the White Hummingbird. I moved away from FA Meringue and TFA Vanilla Swirl in favor of the concentrates that make up Deejay_mills pudding stone (search /r/DIY-eJuice for pudding stone), changing up the percentages a bit. I went with FLV Vanilla Pudding at 2%, INW Custard at 1.25%, and (here’s where the coconut comes back into play) the aforementioned FLV Coconut at 0.5%. 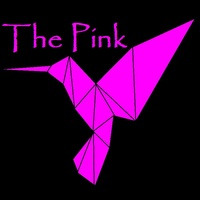 All of this was attempted to make use of a new concentrate (and subsequently turn the white hummingbird pink) . . . FA Red Bean. Red Bean (adzuki/azuki) paste is a staple in Asian desserts . . . it is also in some of the best ice cream I’ve ever had (Red Bean Ice Cream from The Chinatown Ice Cream Factory in NYC). I’ve been obsessed with red bean desserts since I first tried the ice cream in 2000. It is a sweet, savory, earthy flavor that just speaks to me . . . it almost reminds me of a sweeter, softer, raw red-skinned peanut. Red Bean is a natural pairing with sweet rice and custard/pudding. I started out at 0.5%, but that was way too forward. It overtook everything. I halved it, and it seems to be sitting pretty at 0.25% (I should have just taken Wayne's advice in his Red Bean Ice Cream recipe and not wasted my time and nicotine being hard headed). The sweet rice and creamy, vanilla custard/pudding make up the foundation and rides the front of the exhale. The earthy red bean paste gets swirled into the rice custard as you hit the midway point of the exhale. Finally, at the end of the exhale the honeysuckle just peaks through in a beautiful way. Mixed 60vg/40pg and shook it up. This is definitely a SNV given the FE Sweet Rice. I will update as it steeps, but, off a shake, it is extremely well layered: starchy, sweet rice custard upfront . . . savory, earthy red bean in the middle . . . sweet vanilla-honeysuckle on the end. It is creamy throughout and, in my opinion, extremely enjoyable. I know it’s not for everyone, but, if you are a fan of red bean/red bean paste desserts, the FA Red Bean is a must have. 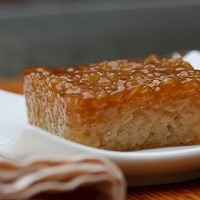 Biko is a Filipino rice cake made of sticky rice, coconut cream, coconut milk, and brown sugar. Some recipes include butter; which is always a welcomed addition in the recipe, but not required. 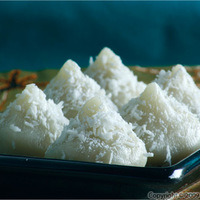 This is a traditional Filipino sweet and sticky rice cake that was often eaten during the holidays or during parties when I was small. For this recipe, I wanted to capture this rich, delicious, and very much loved dessert my mother would make for us. It is very tasty right away but 1 week steep would be optimal. • Question: Is this very sweet? • Answer: Yes. On a sweetness scale: 1 (not sweet) - 5 (very sweet). I would rank it a 4.5. If you do not prefer added sweeteners like Super Sweet - feel free to substitute with Meringue. Or feel free to leave the sweetener out. It is nice & sweet on its own. • Question: Can I mix at a higher VG ratio? • Answer: Sure thing. 70/30, 80/20, whichever you prefer. However I would increase the steeping time. Approx. 1.5 - 2 weeks. PLEASE NOTE THIS IS A WORK IN PROGRESS AND MY FIRST RECIPE UPLOADED ONLINE AND MY FIRST VERSION OF THIS RECIPE. I took Wayne's Yeo Layer crossed with the creams and honeysuckle from ID10-T's Longing, added a hefty dose of Holy Vanilla, and applied a sprinkling of FA Coconut . . . this is The White Hummingbird. Sweet rice is the main note here layered on top of a warm, sweet honeysuckle-laced vanilla cream. For me, it's a very satisfying vape . . . sweet, savory, warm, and slightly floral. I mixed up 30mL, shook it like hell, and let it rest for 24 hours before trying it. It will be interesting to see what happens as this continues to age . . . as it stands, I'm thinking I should mix up another because this bottle may not last long enough to find out. Much respect to ENYAWREKLAW and ID10-T for the exceptional resources they provide to the DIY community! Green Hummingbird quick notes . . . dropped honeysuckle and Holy Vanilla percentages . . . switched FA Coco' to TPA Coconut Candy. Added Basil and Green Tea . . . will probably adjust both a bit higher. The Iced Oatmeal Cookie Just Needs 10 words in order to be released. Mochigome(Mah-che-go-may) Green Tea Ice Cream Rice Cake is a traditional desert in Japan. Unfortunately we dont have red bean easily available to us, at least not one that doesnt take over like fa red bean which is still not what I'm looking for in sweet red bean paste, but this makes do. Enjoyed my ninja warriors, youll need this in battle. "I grew up on the crime side, the New York Times side. Stayin' alive was no jive. Had secondhands, Mom's bounced on old man. So then we moved to Shaolin land"
Inspired from @gachatay recipe. I was looking for a way I could use FE Sweet Rice in a recipe with flavors that I had. This mix is crazy addictive I wasn't even going to share this but I'm honestly impressed with it. FE Sweet Rice gives a great body that isn't grainy but just moist soft white rice. FLV Rich Cinnamon 2 drops in a 30ml really takes cinnamon to the forefront and sits as mostly the top note of the mix but is blended throughout. 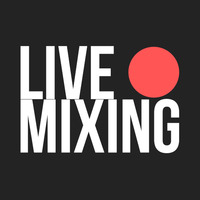 FLV Guanabana is the only flavor I have with coconut in it and even though it's not exactly what I want (I'm not a fan of coconut) this works great in the mix. Well rounded cream base that blends and sits right in front of and above the Sweet Rice deliciously.